Sabaeframe - Acetate and lens Colours and printing of brand name, size codes etc Besides OEM of optical eyewear and sunglasses, we also supply acetate sheets and sunglasses lenses to almost all factories and trading firms in Japan. 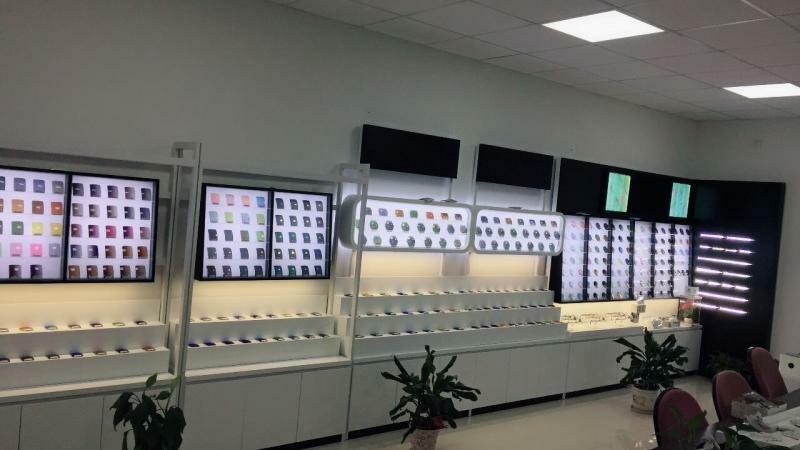 However, we leave it to our clients to dictate the brand of the acetate they would like to use for their OEM production We have our own showrooms in Sabae for clients to choose the matching acetate colors and sunglasses lenses from CR39, PC, PA through to reading lenses. High quality acetate matetials and suitable lenses with appropriate coating/protection with the ideal matching colors for the eyewears you have in mind is among the most important decision process. Our warehouse is at any one time stocked with acetate sheets and lenses of unlimited colors and therefore, production could be achieved most efficiently without hassle. The stocking of acetate colors and sunglasses lenses meant also that actual production will be without delay once the colors have been chosen. Printing of all eyewears such as logos, brand name, style name, size codes etc are also done inhouse via our pritning department which also undertake printing assigments for other firms in Sabae. The OEM of eyewear, production and distribution of acetate sheets and lenses plus printing make us the only one stop OEM eyewear manufacturer in Sabae, Fukui, Japan. 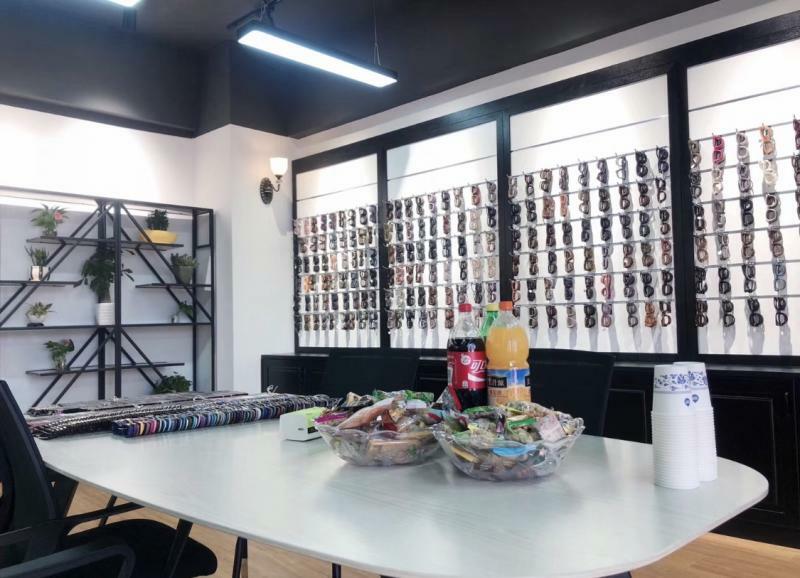 We have our own showrooms in Sabae for clients to choose the matching acetate colors and sunglasses lenses from CR39, PC, PA through to reading lenses. High quality acetate matetials and suitable lenses with appropriate coating/protection with the ideal matching colors for the eyewears you have in mind is among the most important decision process. Our warehouse is at any one time stocked with acetate sheets and lenses of unlimited colors and therefore, production could be achieved most efficiently without hassle. The stocking of acetate colors and sunglasses lenses meant also that actual production will be without delay once the colors have been chosen. Printing of all eyewears such as logos, brand name, style name, size codes etc are also done inhouse via our pritning department which also undertake printing assigments for other firms in Sabae. The OEM of eyewear, production and distribution of acetate sheets and lenses plus printing make us the only one stop OEM eyewear manufacturer in Sabae, Fukui, Japan. If you are in search of a particular colour for your frame, just send us image of the colour in mind for our team to search with the various acetate brands suxh as Mazzucchelli, Daicel, Takiron etc. and send you the actual samples by courier. If you still do not get the colours you have in mind, our designers could work closely with your team to develop the colours. Our designers` work are featured regularly in eyewear and fashion/accessories magazines in Japan. 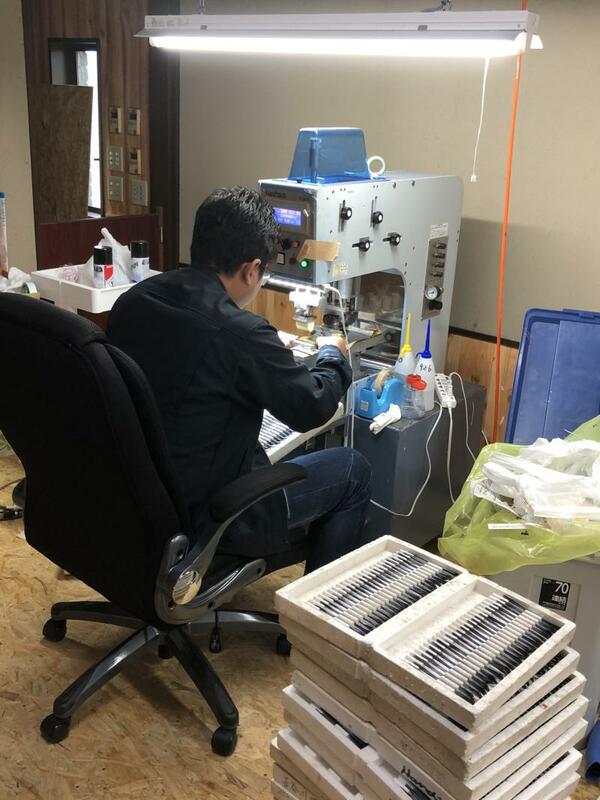 Our inhouse printing department at work before final quality check of the OEM production. Printing could be in silk print, laser pritning, floating print, engraving and filled with golden or silver foil as well as hot stamp with god or silver foil.